Happy New Year! 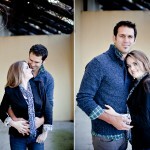 Today I’m posting an extra special maternity session. It’s extra special because that’s my NIECE inside that belly! Our whole family is eagerly awaiting baby Cora’s arrival this spring :) Here are a few of my favorites.